WE BECAME PART OF THE A.B.I’S TRAINING ACADEMY AND NOTICED A BIG; “HIKE”, IN DEMAND FOR THE LEVEL 3 AWARDS IN PROFESSIONAL INVESTIGATIONS THIS YEAR. The A.B.I Academy conceived and delivered by the President and Governing Council of the Association of British Investigators has become the preferred choice for the 500 – 600 professional investigators who are members of the Association. 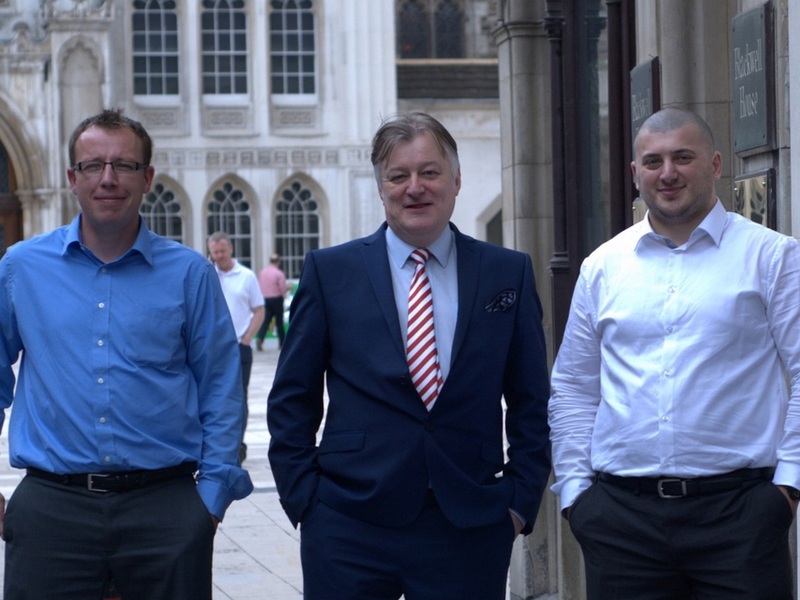 July 2014 Martin and Kevin with Cezar in the Guildhall Yard, outside Blackwell House, City of London. Exams in progress. Word has spread quickly and the IQ Level 3 Award for Professional Investigators offered by the Association of British Investigators has also become the first choice for PLC’s and large organisations that provide professional investigative services in the UK’s private sector, preferring the kudos of the A.B.I’s qualification above all others to fulfil the “Competency” criteria outlined by the Home Office / SIA for Private Investigator Licencing that is expected in 2015. There are five accredited training companies to choose from. After you select a training partner you receive your ABI exclusive Academy Training Material and will be guided in your learning, the exam is taken after a Surveillance Portfolio has been produced and the on line “Mock exams”, tackled. The A.B.I has delivered a “Win – Win”, opportunity for the Professional Investigator sector.